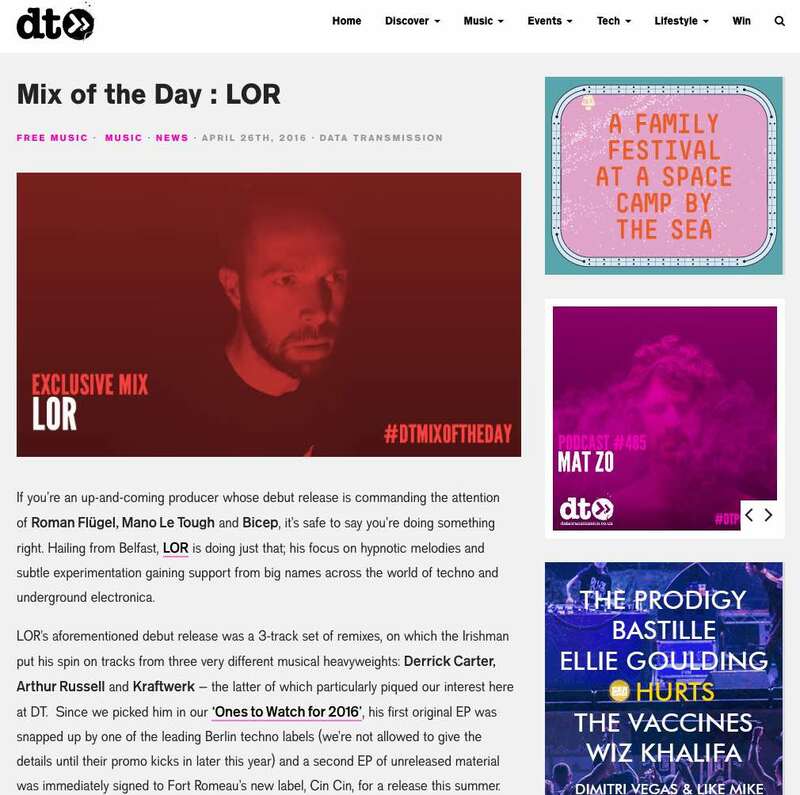 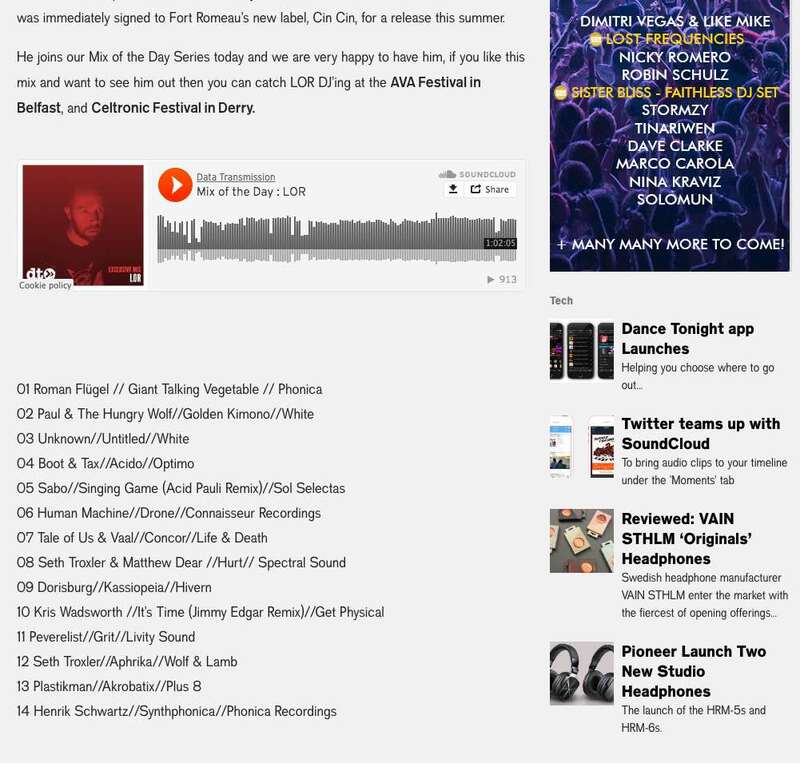 Belfast producer, LOR has been featured by leading electronic music outlet, Data Transmission in their respected ‘Mix of the Day’ DJ Mix series. 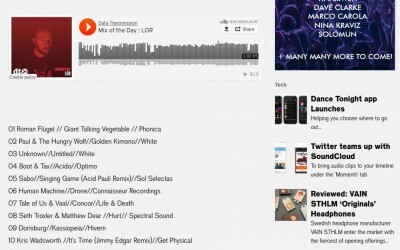 It marks an exciting 6 months for this talented artist, who was highlighted by Data Transmission at the start of the year as ‘one to watch’. 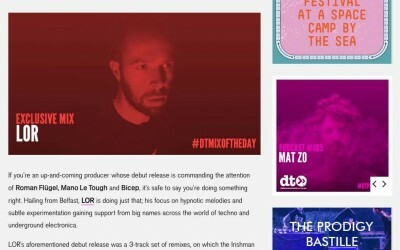 With a number of high profile record signings and key festival gigs lined up over the summer, it seems like it’s just the start for LOR.